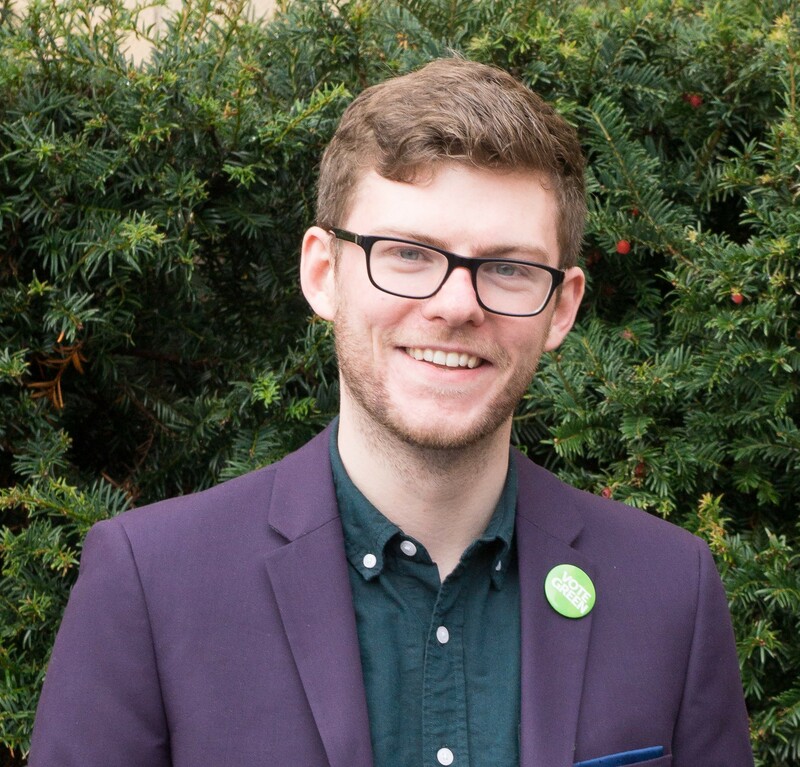 Green councillors will push for decisions about Glasgow to be made in Glasgow, with more control over local finances and community involvement in budgets and planning. Greens believe that the people of Glasgow are best placed to decide how the city is run, which is why we're pushing the Scottish Government for more decisions on finance to be taken locally. Until then, Green councillors will use the powers we have now to protect the vital public services residents rely on. Campaign for greater community control over how land is developed, through a planning system where the interests of communities are powerful and equal to other interests in the planning process. Participation in economic decisions and allocation of funding, especially by women, disabled people, BME communities and those with direct experience of poverty. Campaign for reform of local government finance so that local authorities are able to raise up to 50% of the money they spend, instead of being dependent on central government. Campaign nationally for a new Common Good Act to give communities greater control over common good property and assets in Scotland’s towns and cities. Return the Council to a more democratic committee system which ensures the voices of all parties are heard. Review Glasgow’s ALEOs and private providers, with a view to returning as many as possible to in-house delivery and democratic control. While Glasgow is doing well as a city in many ways, it’s too dependent on large employers; and far too many people are left behind. Greens will work to improve peoples’ chances in the economy; and work to improve the jobs base of the city. Creating jobs in insulation of housing and of council buildings, cutting fuel poverty and council energy bills. Community benefit clauses in council contracts to promote worker representation and living wage, training and modern apprenticeships, and environmentally friendly working; and using council’s purchasing power to buy goods and services locally wherever possible. Support household incomes with trial of Universal Basic Income, campaigning for a living wage of £10 an hour by 2020, and access to affordable credit through support for credit unions. The cost of childcare remains prohibitive for many who wish to work and crippling for those who do. We will work to increase access to affordable childcare. Small and medium businesses play a vital role in Glasgow's economy. We will support sustainable expansion in industries such as great quality food production, medical and life sciences, engineering and the low carbon energy industry. Retail and financial services will always be important parts of our economy, but Glasgow deserves an economic strategy with a sustainable industrial core providing good quality jobs in the real economy. Support start-ups and an inclusive economy by tapping everyone’s potential. Support investment in apprenticeships, colleges and universities. Work for Glasgow to realise its potential as a global centre for renewable energy research and industry. Promote investment in research and innovation to support a low carbon future. Create a generation of community-owned projects, and promote business models that deliver more such as cooperatives, social enterprise and fan-owned sports clubs, all designed to unlock community power. Empty council properties, like vacant shopfronts, to be made more easily available for use as short-term start-up business, community or creative spaces. Campaign to support credit unions and local banks to create a network of accountable finance institutions. We will also explore whether local currencies can encourage local trading activity to support independent retailers and small high street traders. Push for a local Vacant Land Tax, which could bring in £25 million each year, while acting as an incentive to bring derelict land into productive use. Make responsible use of the ability to raise council tax when necessary to protect local services. Making Glasgow a more equal city by acting on the findings of social impact assessment tools looking at poverty, gender, health and inequality. Lead a comprehensive inquiry into the costs of PFI / PPP which would examine options for cancellation or significant renegotiation of existing contracts and ensure the Council adopt a strategy of direct public financing of capital projects as the norm.